Click on play button to listen high quality(320 Kbps) mp3 of "Chehra Hai Ya Chaand Khila Hai (Saagar 1985) | Unplugged Cover by Udit Shandilya | Kishore Kumar". This audio song duration is 3:11 minutes. 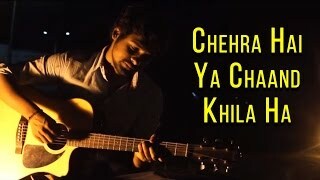 This song is sing by Chehra Hai Ya Chaand Khila Hai (Saagar 1985) | Unplugged Cover by Udit Shandilya | Kishore Kumar. You can download Chehra Hai Ya Chaand Khila Hai (Saagar 1985) | Unplugged Cover by Udit Shandilya | Kishore Kumar high quality audio by clicking on "Download Mp3" button.